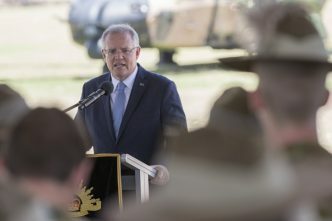 As part of the Australian government’s Pacific push, Prime Minister Scott Morrison has announced an Australian infrastructure financing facility to support essential infrastructure development in the region. The move echoes earlier calls from the Labor Party; shadow foreign minister Penny Wong first raised the issue in July and Labor leader Bill Shorten committed a future Labor government to establishing a government-backed infrastructure investment bank in the Pacific in October. But our commendable bipartisan Pacific step-up has so far neglected the key role that Australia’s business sector can play in developing relations with our Pacific neighbours. It’s the missing link in our Pacific policy. If we’re to achieve the foreign policy white paper’s ambition to ‘integrate Pacific countries into the Australian and New Zealand economies and our security institutions’, businesses need to be incorporated into our foreign policy approach with our near abroad. The private sector is estimated to generate 90% of jobs in the developing world, fund 60% of all investments and provide more than 80% of government revenues. In a new ASPI Strategic Insights report, we examine the current Australian business relationship with the Pacific and its potential for growth. While a large number of Australian medium-sized companies operate successfully in the Pacific, we’re squandering opportunities to strengthen the role of our business and investment community in our relationships with our Pacific island neighbours. Within the Australian institutional superannuation market, the pool of private-sector capital able to invest in infrastructure is around $2.5 trillion. But no large Australian superannuation institution is looking to the Pacific for infrastructure opportunities. 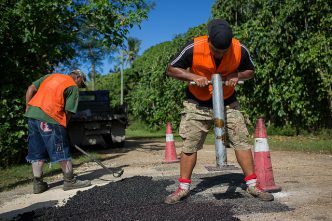 The paper looks at the barriers preventing increased private-sector engagement and makes recommendations for government and business to help create stronger, lasting business engagement in the Pacific. Australian aid and defence relationships with the Pacific islands are already well developed. But the business relationship is the wobbliest leg on our Pacific engagement table. Australian banks are slowly withdrawing from the region. Trade with the region equates to only 1.3% of Australia’s total trade (of which Papua New Guinea makes up more than half). Our investment in the region is even smaller. Some significant barriers and challenges may play a role in preventing Australian businesses from stepping up their engagement in the Pacific. At times, there’s a regional perception that Australia is talking down to island leaders when it comes to the role of business. A lack of equivalent government representation on the Australian side at many formal Pacific conferences and events also creates a perception that Australia flies over the Pacific on its way to other markets. On the business side, many leaders of Australian firms believe that investing in the Pacific islands is risky, as companies may be exposed to currency, credit and sovereign risks simultaneously. Many barriers can be attributed to a lack of experience and knowledge of the Pacific among Australian businesses, combined with a lack of information-sharing between the public and private sectors about the business environment and opportunities in the region. There’s lots of potential to forge stronger commercial relationships in a range of different sectors. Australian businesses can capitalise on the great demand for renewable energy in the Pacific, driven by the existential risk of climate change and the islands’ excessive reliance on fossil fuels. Agriculture is the biggest employer in the region and a large source of untapped potential for Australian commercial engagement. 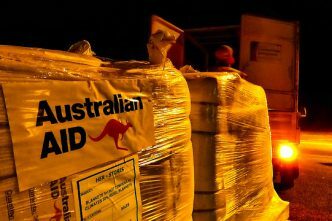 Alongside government, Australian businesses can become more involved in disaster response. The recent commitment from Australia, Japan, New Zealand and the US to help provide power to 70% of PNG by 2030 will require massive private-sector support. Australia should share specific state and local government expertise by increasing sister-state relationships. Queensland, for example, has experience in mining, cyclone response and agriculture. Relationships between high-level economic officials in the Australian and Pacific island governments should be strengthened to create a more business-friendly environment in the region. 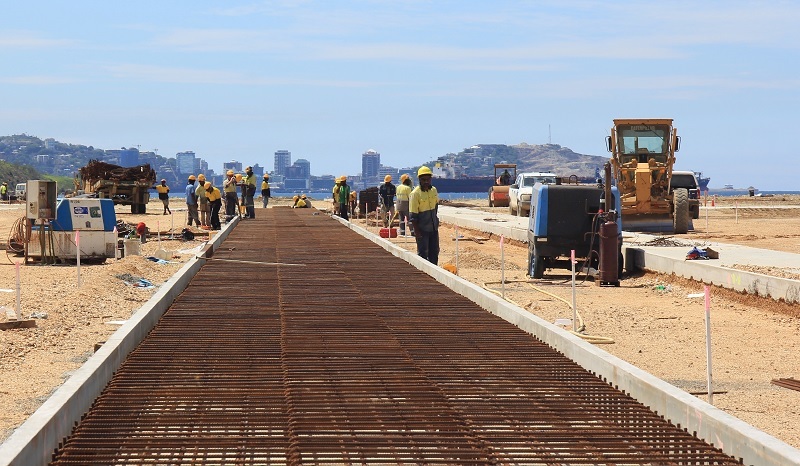 DFAT, with its Pacific counterparts, should create a robust flow of information by organising regular tours for Australian investors of the main infrastructure projects in the Pacific. Select private-sector executives should be endorsed by the government as ‘trade advisers’ to provide advice to government officials and represent the private sector at Pacific ministerial conferences. Austrade’s Pacific operations should be reviewed. Currently, it has no representative in the area between Port Moresby and Auckland. The Australian government should create an insurance institution specifically designed to alleviate risk for Australian businesses that want to engage in the Pacific. It would insure against sovereign and liquidity risks rather than normal business risks. We also set out a number of recommendations for the Australian business community. These include engaging more with our aid program, leveraging soft power through business groups like Rotary International, and establishing a new economic dialogue with Pacific business organisations and the Australian government in order to engage Pacific economic ministers and CEOs. We’re not suggesting we adopt an ‘Australia Inc.’ approach to the region. 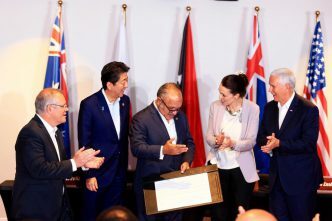 But now is the time to build a more deliberate and far-reaching partnership between government and business to further Australia’s interests in the Pacific. Anthony Bergin is a senior analyst at ASPI and a senior research fellow at the Australian National University’s National Security College. Rebecca Moore is a research intern at ASPI. They are co-authors of Partners: Australia’s private sector engagement in the Pacific, released by ASPI today. Image courtesy of the Department of Foreign Affairs and Trade.